Although her date of birth is not known exactly, today’s post features “the most remarkable woman” of the early middle ages, Hrotsvitha of Gandersheim (in German also often referred to as Roswitha, and attributed as ‘the mighty voice‘ or the ‘Nightingale of Gandersheim‘). Hrotsvitha of Gandersheim was a 10th-century German secular canoness, as well as a dramatist and poet who lived and worked at Gandersheim Abbey in modern-day Bad Gandersheim, Lower Saxony, Germany, established by the Ottonian dynasty. She wrote in Latin, and is considered by some to be the first person since antiquity to compose drama. She has also been called “the most remarkable woman of her time”. We do not know Hrotsvitha’s family lineage, at what time she entered the nunnery, or what reasons led her to take the veil. There is no direct evidence concerning the dates of her birth, consecration, and even her death. Hrotsvitha’s biography largely depends on her own accounts or results of inferential reasoning. But what we have left are her writings, which form part of the Ottonian Renaissance. In her historical poem, “Carmen de Primordiis Coenobii Gandersheimensis” (Song of the early days of the monastery Gandersheim), she tells us that she entered the world a long while after the death of Otto (the father of Henry the Saxon), which occurred in 912 AD. From the overall disposition of her works and the position we are sure she occupied at Gandersheim, it is inferred that she was born into the Saxon nobility, somewhen between 930 and 940. Due to the depth of her point of view in her writings, it is widely believed that she took the veil later in life, while others argue that she already entered the convent in Gandersheim in her early youth. Gandersheim by the time was highly famed for its asceticism and learned pursuits. Also, some scholars think it is quite possible that she had gone through some of the experiences of love and renunciation that are so persistent throughout her legends and plays. She died about 1002. She studied under Rikkardis and Abbess Gerberga, daughter of the German king Henry the Fowler, the most accomplished woman of her time. Gerberga’s brother, Otto I, penned a history that became one of Hrotsvitha’s poetical subjects, in her “Carmen de Gestis Oddonis Imperatoris” (Song of the Ottonian Emperors), which encompasses the period up to Otto’s coronation as Emperor in 962. She was noted for her great learning. Hrotsvita’s work shows familiarity, not only with the Church fathers, but also with Classical Roman poetry, including Virgil, Horace, Ovid, Plautus and Terence. Several of her plays draw on the so-called apocryphal gospels. Hrothsvitha’s works fell under the categories of legends, comedies, and plays. The Book of Legends (carmina (liber primus) originated in the 50s and 60s of the 10th century and dedicated to her abbess Gerberga contained eight legends in dactylic hexameter, the writing style that is most prominent in poetry and can be found in Homer’s Iliad and Odyssey. The most well known and original of the works of Hrotsvitha is her imitation of the Roman poet Terence. 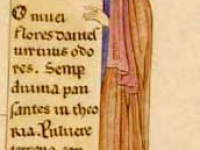 The Book of Drama or dramatica series (liber secundus), written around 965, wanted to offer a Christian alternative to Terence. Instead of slippery love stories, the portrayal of the chastity of pious virgins was to take its place. It was written in prose as six comedies, all of them love stories. She writes in her preface that her writing will appeal to many who are attracted by the charm of style. Her plays feature the chastity and perseverance of Christian women and contrast these to the perceived Latin portrayal of women as weak and emotional. The most popular work, judging at least from the numerous transcripts thereof, is the play “Gallicanus“. This general of Constantine the Great, while still a pagan, seeks in marriage the emperor’s daughter, Constantia, who however has long since consecrated herself as a spouse to the Lord; the suitor becomes converted and suffers a martyr’s death. The third book contains two historical writings in Lionical hexameters: the Gesta Ottonis (Gesta Oddonis), a history of the Ottonians from the years 919 to 965, and the Primordia coenobii Gandeshemensis, a history of the Gandersheim Monastery from the years 846 to 919. Since she was one of the first female writers of her time, her work was not taken with the same respect it would have been if she was a man. People were still close-minded on who could write plays and they believed that it could only be a man. Which is why Hrotsvith continued to stress in her writings that people look past her gender because it was god given. She was very spiritual so she credited her talents to god and insinuated that her writing was what he ultimately wanted. After centuries of neglect, Hrosvitha’s poems were discovered, as is well known, by the poet laureate Conrad Celtis in the Benedictine monastery of St. Emmeram at Ratisbon, and were published in 1501 to the great delight of all lovers of poetry. 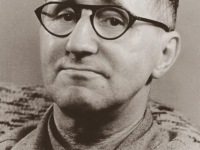 Before the publication of the work, Celtis had gathered his like-minded humanistic friends in Nuremberg and asked them to write poems on Hrotsvit, which he preceded the first edition. These poems emphasized her German ancestry, her versatility and her broad education. Johannes Trithemius already drew a similar picture to Celtis, who, although a woman, included her in his work Catalogus illustrium virorum Germaniae ( ‘Catalogue of Famous German Men’). 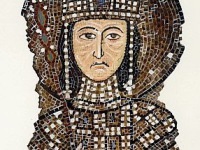 The thin sources on Hrotsvitha quickly led to its national appropriation: An English scholar made her the daughter of a king of Northumbria, other scholars declared her a Byzantine princess because of her knowledge of Greek. In summary, Hrotsvitha was either stylized in the reception of his work as an extraordinary figure or exposed as a forgery when writing and poetry did not fit in with the contemporary notion of femininity. If writing and poetry fit into the female image, their activity was an expression of their female identity, and in principle Hrotsvitha was an exceptional phenomenon. A perception of Hrotsvitha as a writer, whose contents were determined by her life as a santimonialist of the Gandersheim Abbey in its specific situation of the 10th century, has only become possible through recent research on the early medieval women’s abbeys. At yovisto academic video search you can learn more about the times of Hrosvitha of Gandersheim in the Medieval Art History lecture of Prof. Vida Hull from East Tennessee State University. Scheid, N. (1910). Hroswitha. In The Catholic Encyclopedia. New York: Robert Appleton Company.